"hardworking, sensible and a fantastic advocate" Akash Nawbatt is "a star of the future"
Akash's principal areas of practice are employment and tax law. He is instructed in complex and high value litigation, in both tribunals and the High Court, by large employers (including global financial institutions and leading airlines), Government Departments and taxpayers. 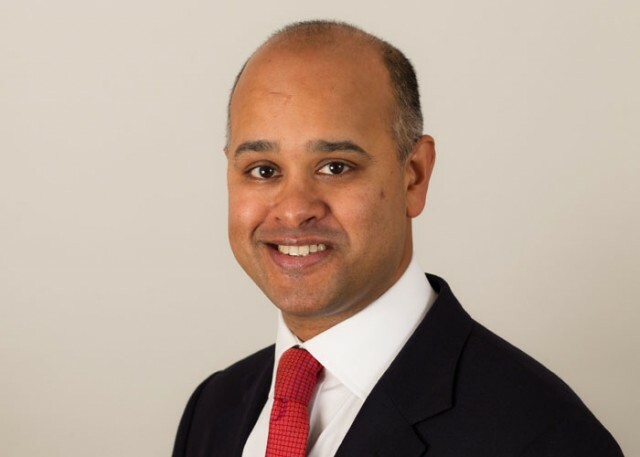 Akash is a Member of the Panel of Counsel for the Equality and Human Rights Commission and, prior to his appointment as Silk in 2017, he was a member of the Attorney General’s panels (A, B and C) for most of his career. His expertise in both his specialist areas of practice has been recognised by the leading directories for a number of years: prior to his appointment as a QC both Chambers & Partners and Legal 500 ranked him as a leading junior in employment and tax law. He was awarded 'Employment Junior of the Year' by Chambers UK Bar Awards 2015. Akash practises in all areas of employment law including restrictive covenants and breach of confidence, breach of contract, wrongful and unfair dismissal, whistleblowing, TUPE, issues of employment taxation and discrimination. Prior to his appointment as Silk in 2017, Akash was ranked in Band 1 for Employment Law by both Chambers and Partners and Legal 500. He won 'Employment Junior of the Year' at the 2015 Chambers UK Bar Awards in recognition of his first-class employment litigation practice which saw him instructed in complex, high value employment disputes in all courts, including in the Supreme Court where he appeared without a leader. Akash regularly advises in claims relating to all aspects of employee and partnership pay, incentives and pensions. He has particular experience of claims concerning bonuses, share options and enhanced redundancy entitlements. He is regularly instructed by HMRC, employers and employees in cases involving the taxation of all aspects of employee remuneration (including the correct tax treatment of termination payments). Moorthy v HMRC (2017): Court of Appeal hearing concerning the correct tax treatment of discrimination compensation. John Mander Pension Scheme v HMRC (2015): Supreme Court appeal concerning the consequences of withdrawal of approval of an employer's pension scheme. Kuehne & Nagel Drinks Logistics Ltd v HMRC (2012): Court of Appeal case concerning the correct tax treatment of payments made by an employer to 2000 employers following a TUPE transfer to avoid the threat of industrial action. Akash has extensive experience of claims concerning unfair and wrongful dismissal, public law challenges to the termination of employment and the enforcement of other employment rights under TUPE, the Working Time Regulations and the National Minimum Wage legislation. Akash has particular experience in dealing with issues of employment and worker status in both the employment and tax tribunals and of high value whistleblowing claims. Pimlico Plumbers v Smith (2016): Court of Appeal employment status case – worker / employment under the Equality Act 2010. Fox v British Airways  ICR 1257: Court of Appeal case concerning the recoverability in unfair dismissal proceedings of compensation for the estate’s loss of a death in service benefit. Arrowsmith v Nottingham Trent University  ICR 159: Court of Appeal case on the correct approach to costs in cases of dishonesty. R (Sharon Shoesmith) v Haringey LBC & Ors  ICR 1195: Public law challenge by Ms Shoesmith to the decision to summarily terminate her employment following a direction by the Secretary of State. Akash is regularly instructed in high value discrimination claims in the Employment Tribunal. Akash also has experience of discrimination claims in the County Court in relation to the provision of services. Crossland v OCS (2015): Court of Appeal case concerning the appropriate comparator in disability discrimination cases. X v Z (2015): Represented an airline in religious discrimination proceedings conducted under the employment tribunal’s national security closed procedure. Lockwood v DWP and Cabinet Office  ICR 1257: Advised and represented the Cabinet Office in a series of test cases in the Employment Tribunal, Employment Appeal Tribunal and Court of Appeal involving age discrimination challenges to different aspects of the Civil Service Compensation Scheme. Akash is regularly instructed in employment injunction proceedings and other High Court proceedings concerning the enforcement of restrictive covenants and claims of inducing breaches of contract, fiduciary duty and confidence. Akash has particular experience of cases involving team moves and has appeared in some of the leading team move and springboard injunction cases (eg. UBS v Vestra Wealth and Others  IRLR 965). Akash has been involved in a number of claims arising out of industrial disputes. He has particular experience of claims for interim relief, trade union detriment and for failure to consult. Akash has represented Her Majesty's Revenue and Customs and taxpayers in tax disputes before the Tax Tribunals, the High Court, Court of Appeal, House of Lords and the Supreme Court. Akash has extensive experience of advising and acting in cases concerning the correct tax treatment of employment income and other tax issues involving employee remuneration structures. Akash is also regularly instructed to advise on employment status issues, the correct tax treatment of termination payments and IR35. John Mander Pension Scheme Trustees Ltd v HMRC (2015): Supreme Court case on tax consequences of HMRC withdrawal of approval of a pension scheme. Christianuyi and others v HMRC (2015): Test case on Managed Service Company legislation. ICM (UK) Limited v HMRC (2015): Territorial scope and application of the Construction Industry Scheme. Akash has appeared in all of the leading domicile, individual, corporate and treaty residence cases that have been litigated in the past 10 years including Gaines-Cooper, Glyn, Grace and Lord Wrottesley. Glyn v HMRC (2015): Appeared in Upper Tribunal and First-tier Tax Tribunal in first residence case following the Supreme Court judgment in Gaines-Cooper involving the application of the distinct break test. Lord Wrottesley v HMRC (2015]: Appeared in Upper Tribunal and First-tier Tax Tribunal in domicile appeal. Daniel v HMRC  UKFTT 173: Appeared in First-tier Tax Tribunal concerning alleged non-residence based on claimed full-time employment abroad. R (Gaines-Cooper) (Davies and James) v HMRC  1 WLR 2625: Appeared in Supreme Court, Court of Appeal and Administrative Court in the leading case on the interpretation and application of HMRC guidance on individual residence. Akash has appeared in a number of the leading cases on the validity of discovery assessments and penalty determinations. Hargreaves v HMRC (2016): Court of Appeal case concerning the appropriate approach to discovery assessment appeals. HMRC v Charlton  STI 259: Upper Tribunal appeal concerning the correct test for determining the validity of discovery assessments. Stockler v HMRC : STI 2765: First-tier Tax Tribunal appeal concerning quantification of penalty determination. Also appeared in leading Court of Appeal case on the validity and quantification of penalty determinations: Stockler v HMRC  STC 2584. Akash has appeared in a number of recent public law challenges to decisions of HMRC and also the removal of individuals from public office (e.g. Sharon Shoesmith). Hely-Hutchinson (2015): Challenge to HMRC change of policy regarding Mansworth v Jelley losses. Court of Appeal hearing (2017). City Shoes (2016): Challenge to non-admission of Employee Benefit Trust appeals to the Lichtenstein Disclosure Facility. Walapu (2016): Challenge to Accelerated Payment Notice legislation. Akash has experience of advising on and litigating sports law cases involving a wide variety of issues including the deduction of points for fielding ineligible players; alleged breaches of sporting regulations; imposition of regulatory fines and penalties; and issues involving sports agents. X v Y (2016): Disputes involving off-shore remuneration structures used by Premier League football clubs. McLaren Racing Ltd v HMRC (2014): Case involving the £100 million penalty imposed by the World Motor Sport Council under Article 28 of the FIA Statutes. Stretford v Formation Ltd and Rodford (2012): High Court proceedings between sports agents arising out of breaches of the FA Regulations in the signing of a Premier League footballer. Akash Nawbatt QC is an advocate of the DIFC Courts. In December 2016 he appeared in the DIFC Court of Appeal in Lys v Elseco Limited a leading case on the construction and application of Article 18 (penalty for failure to pay all sums owing on termination) and Article 59A (termination for cause) of the DIFC Employment Law 2005. He has also advised in contractual claims involving banks and other financial institutions. What might the new non-dom rules look like?